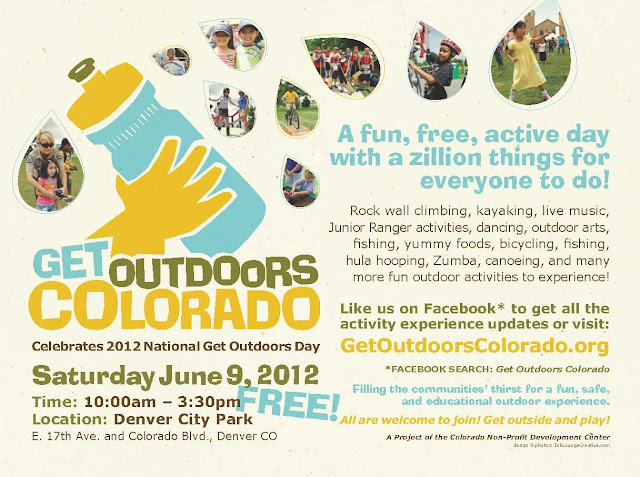 Join partners and friends at the 2012 Get Outdoors Colorado event at Denver's City Park on June 9, starting at 10:00 am. The event will feature learning opportunities, live music and entertainment and fun-filled outdoor activities including rock wall climbing, kayaking, Junior Ranger activities, dancing, outdoor arts, fishing, bicycling, hula hooping, canoeing and much more! Free shuttle services provided from Aztlan, Glenarm, and Rude Denver Recreation Centers throughout the day. For more information, visit GetOutdoorsColorado.org!